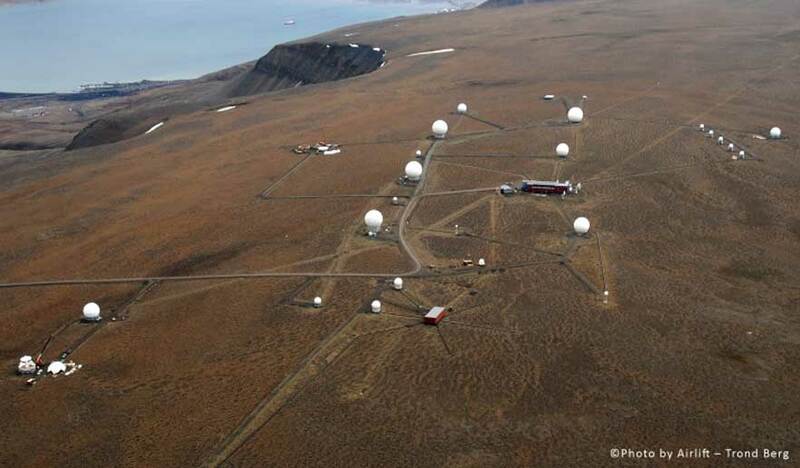 Svalbard Satellite Station (SvalSat) was established in 1996 and is today the world’s largest commercial ground station with more than 31 state-of-the-art multi-mission and customer dedicated antenna systems in C-, L-, S- and X-band. SvalSat, located at 78°N (1200 km south of the North Pole) on Spitsbergen, is recognized as the most optimally located ground station in the world for satellite control. The extreme northern location on the Svalbard archipelago, gives SvalSat its unique and favourable position. The satellite coverage at this latitude holds unique opportunities and SvalSat is the only commercial ground station in the world able to provide all-orbit-support (14 of 14 orbits) to owners and operators of polar orbiting satellites. Today SvalSat comprises a state of the art station building operated by a team of skilful and experienced engineers and operators 24/7 365 days a year. The SvalSat site offers a large amount of flexibility for our customers and has a vast potential for further expansion. In 2004 a redundant fiber optical communication links between Svalbard and mainland Norway was established. The fiber infrastructure project was initiated to ensure highly proficient and cost-efficient communication solutions to our customers. The fiber communication is adaptable and KSAT may provide a tailor-made solution from ground station to customer sites. When operating an advanced technical satellite ground station in the Arctic or Antarctic, continuity and experience are important factors to maintain the required level of proficiency. 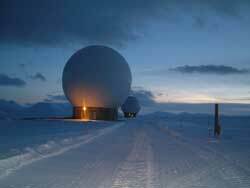 KSAT Arctic Ground Stations are at all times staffed by highly skilled operations engineers. KSAT’s Antarctic TrollSat station is remotely operated from Tromsø and year-round staffed for on-site corrective engineering operations and preventive maintenance. KSAT operations engineers have broad experience through engineering and maintenance activities. In a Polar environment special competencies are necessary to secure personnel safety. KSAT continuously focus on these issues and provide adequate training to each employee. KSAT is certified according to the ISO 9001:2000 standard. Kongsberg Satellite Services AS (KSAT) is a commercial Norwegian enterprise, uniquely positioned to provide ground station and earth observation services for polar orbiting satellites. With three interconnected polar ground stations; Tromsø at 69°N, Svalbard (SvalSat) at 78°N and Antarctic TrollSat Station at 72°S, and a growing mid-latitude network, KSAT operates over 50 antennas optimally positioned for access to polar orbits. KSAT supports more than 60 satellites, including high resolution synthetic aperture radar (SAR) and electro-optical satellites, allowing us to provide earth observation data and services to a wide range of customers. The Tromsø Network Operations Centre is staffed 24/7-365 days, and remotely operating facilities around the world as one single interconnected network. The head office of KSAT is located in Tromsø, and employs today 87 of the total 113 employees at KSAT. The remaining 26 are located at the SvalSat ground station (22) at Svalbard and at our sales office in Oslo (4). KSAT is owned 50% by Kongsberg and 50% by Norwegian Space Centre Properties – a company owned in full by The Norwegian Ministry of Trade and Industry, administered by Norsk Romsenter (Norwegian Space Centre). The Norwegian Space Centre is a government entity under the Ministry of Trade and Industry. The Center provides strategic guidance to the European Space Agency and is responsible for Norwegian space policies, industrial development and space infrastructure. Our success comes not simply from our ideal polar location and the remarkable facilities we operate. We pride ourselves on understanding our customers and working collaboratively to realize the full extent of what is possible with modern technology. Our services have been developed through iterative teamwork with end-users, refining our approach in partnership with their needs. Over time it is the commitment of our employees to thrilling our customers which sustains our accomplishments. We take pride in the belief that despite our high-tech industry our slogan is appropriate; «World class through people, technology and dedication» – in that order.